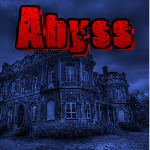 SD Abyss Escape is another point & click escape game developed by Selfdefiant for Melting-Mindz.com. You are visiting an old abandoned house with your friends when all of a sudden, you are alone and prisoner of an evil force. You start panicking when you see that your friends have disappeared but you are brave so you decide to explore this house from top to bottom in order to find objects and clues that will help you to solve mysterious riddles. You have to escape from this place before going crazy! Good luck and have fun! Rube, check the drawers in J again. Why would anyone pick the no-orb option? Lol, I use them to figure out if I've been in a room, even when you don't buy anything with them. Anyone find a clue for the pillars in V? Way behind and haven't found any keys yet. Where's the SD? Can't find purple key in X. Thanks, Charlie. Must've been the 1 pixel I didn't click! Check the wall on the left side for purple key. While discovering that my problem was not finding the symbol box in the library, I came across a YT walkthrough of this posted June 2, 2012. This should be posted as a replay, unless it was never published. All i have is the crowbar and map. Where do I use the crowbar please? Teleporting in past the closed gate gave me a gem in W.
Jamcee, that's where I was. Find 3 books in the library, then a box on the floor. Gets better after that. O is the same room that you keep getting sent back to in that evil Teddy Bear game. The piano is from the paper on the floor. A=1. Lurker where on what floor is the paper for the piano?? Found it in chapel, with flashlight. I have only 2 gems, pushed a bunch of levers but no idea what to do in the room with all the pillars. Five gems before finding blue key. Wow, I must have missed some in the first section maybe. I have yellow, white and just found the last lever to get the green one. The purple key is on the back wall on the left. Oh I see, flip all switches down then use teleporter to get to W.
Good game SD, some tricky bits but not impossible. THANKS! I have seen the numbers on a cluepaper in F. I think they are a hint for the piano, but despite trying all combinations, I haven't cracked it. There is no clue for the candles: they must be brute-forced. Start with the first from the left. too dark, too bloody, too many rooms. Perfect! Are there more clues for the piano? I don't get the logic of the letters. Go by the letters printed on the keyboard. A=1, like in the alphabet. Ignore the left to right order. Where is the green key? @Lurker Smurf: you are right, it is from 2012.
so dark... so bloody... so many rooms... so awesome!! Thanks SD! Where is the clue to the number box in room S??? Ok, found clue to number box. Now stuck on candles. Do I need to find matches??? Where???? I guess no one is playing. I still need to light the candles. Do I need to find matches or Is there an order to lighting them??? I'm at the gate and the gate is opened, but it says it's closed when I try to go through. Where do I find the key for the gate? It seems to rooms past the trap door hold nothing??? That's strange, I tried useing the knife everywhere in the tunnels and now the gate is closed and it says find a why to open it. And my knife id now missing and I don't know what I did to close the gate and lose my knife??? Where is the silver key? Back again... Anyone still playing? Once you have seven gems the places to put them will show up. I have a crowbar, SD, flashlight, lighter, 4 gems (purple, red, white and blue) and a blue key. I'm stuck because I've opened all the doors I can and don't know where to use the blue key. The map shows a link from room J to another section, but there is no door to the right in room J. Help! POP! Literally as soon as I pressed "Publish" on my comment, I saw that the rug in J was a hotspot and revealed a trapdoor. Finally out. Had to consult a video walkthrough to find the yellow gem (behind a screwed panel in one of the rooms with the pipes and gears to the left of the initial room). did i miss it, or did anyone ever post where the clue to the pillars in v was? Good news. Debrah Siarkowski found the lighter. Blue door under rug in J.
book with blue gem is in G under pew on right side.